Dance music connoisseurs around the world are asking themselves: Who is this Ninetoes guy? How did he appear out of nowhere and has this instant hit record that gets spins and recognition from such a variety of highly decorated Djs as Loco Dice, Carl Cox, Jesse Rose, Luciano, Maxxi Soundsystem, Koze and Oliver Koletzki? 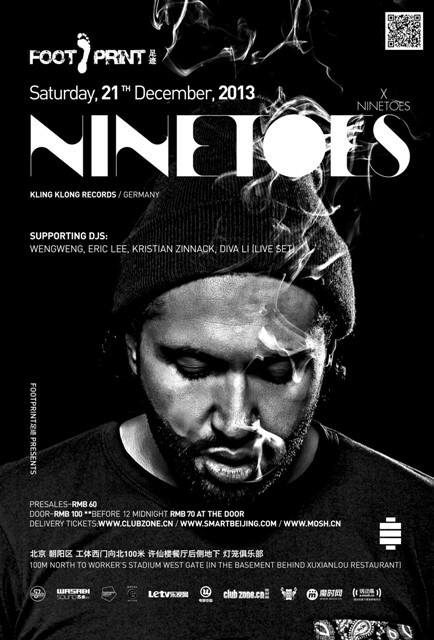 Well, Ninetoes is actually not some chick let that fell into our lap, but a genuinely gifted producer and DJ that has been playing spots around the globe and mastering his craft for more than fifteen years. Be it his sophisticated selection, his outstanding and creative mixing skills or his infectious personality: his sets are a treat to anyone with the slightest soft spot for house and techno records. Hailing from a German motor city and equipped with a Hip-Hop-background, this music enthusiast knows how to tastefully tear up a party in a way few others do. Watch out for his forthcoming releases and try to catch him play in a city near you, because “Finder” is definitely only the first step on Ninetoe’s path! Reply from FOOTPRINT is flagged as not relevant.